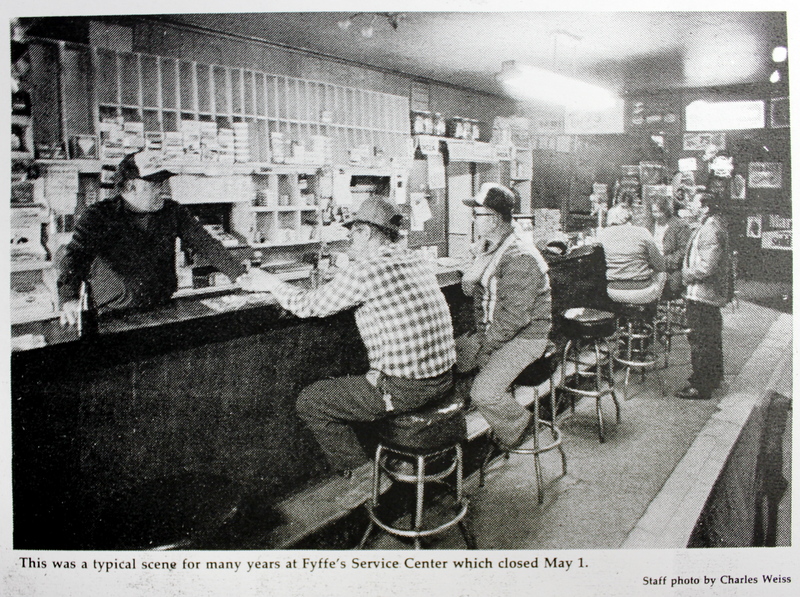 I was too young to have visited (much less frequent) Laurel’s legendary Fyffe’s Service Center before it closed in the early 1980s, but it’s one of the places I’ve consistently heard the most about over the years. Originally one of only two gas stations in the town during the 1920s and 30s, it enjoyed a lengthy run at 10th and Montgomery Streets as a favorite neighborhood bar and general store from the early 1950s—all the way until it closed on May 1, 1983. The structure then sat empty, languishing in decay until it was finally bulldozed in December, 1995. Laurel Leader, June 2, 1983. Laurel Leader, December 7, 1995. 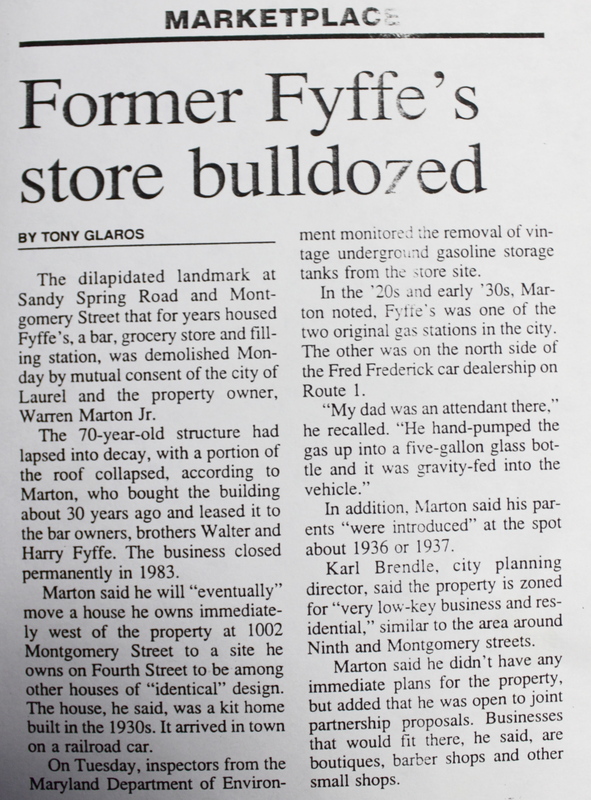 Fyffe’s was where we bought candy on our way back from ball games at the 8th street field when were in jr high and where we bought beer a few years later. I drank a few more beers than I care to admit at Fyffe’s in the mid 70’s to early 80’s. Lost touch with the place when I had a son on the way into the world. 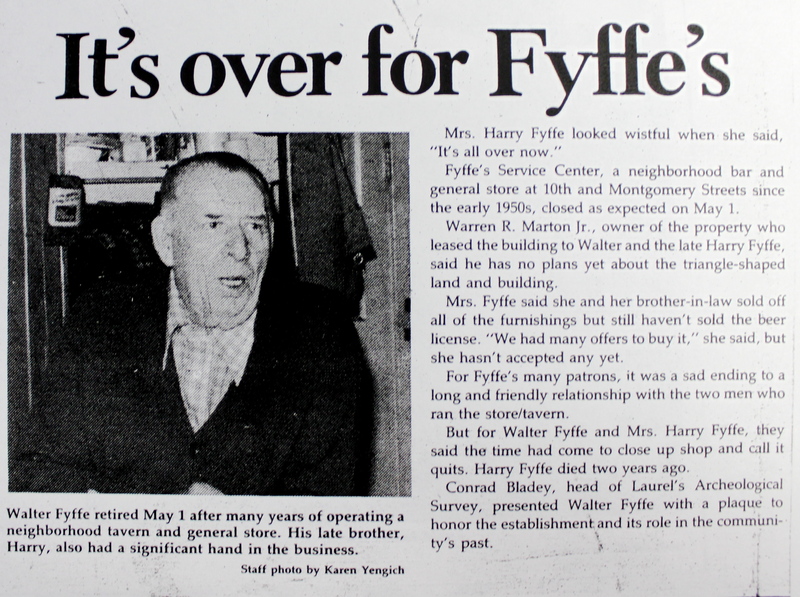 I was surprised to see that Harry and Walter closed the doors just five days before my son was born. I hope to head north when I die and I hope Harry and Walter have reopened up there.